A native of Troy, David is proud to serve as the Artistic Director for the Troy Foundry Theatre. David made his bones as an actor and teaching artist for many years with the troy-based New York State Theatre Institute. Currently, David is an Associate Artistic Director with the Saratoga Shakespeare Company, having directed their critically acclaimed productions of Romeo & Juliet, Macbeth and The Merry Wives of Windsor. David has also worked extensively with The Rep in several capacities, most recently Assistant Directing Gordon Greenberg (and appearing) for their acclaimed production of The Blue-Sky Boys. David is also an accomplished vocalist, spending several seasons moonlighting as a swing for the Trans-Siberian Orchestra. Most recent directing credits include: Macbeth 2117 (Perry-Mansfield), Endgame (Siena College), The Birthday Party (Theatre Voices). Other favorites: Bengal Tiger at the Baghdad Zoo (Philly Fringe); Marcus, or the Secret of Sweet (Temple Theatres); Death in the Making and A Clean House (MFA Playfest, Temple U); Cloud 9 (Temple); The Hothouse and A Steady Rain (Theatre Voices); Waiting for Lefty (Union College). Acting, Regional: Malvolio, Twelfth Night; Louis DeRougemont, Shipwrecked! ; Costard, Love’s Labour’s Lost; Launcelot Gobbo, The Merchant of Venice (Saratoga Shakespeare Company). Captain Hook Peter Pan the Musical (TIS), Freddie Malins James Joyce’s The Dead (Cap Rep), Phaeton Metamorphoses (Cap Rep), Rutledge 1776 (NYSTI), Curley Of Mice and Men (NYSTI), The Reporter Orphan Train, Petruchio Taming of the Shrew (TCHH) The Soldier Reunion (NYSTI). David is currently an adjunct professor with Union College, Siena College and Rowan University, as well as a teaching artist for the Brooklyn-based Stages on the Sound and Perry-Mansfield Performing Arts School in Colorado. Later this fall, David will be directing Noises Off for Siena College and Stage III. This spring, David will be returning to Philadelphia to appear as a principal actor in the world premiere of the first full presentation of Tony Award-winning playwright John Guare's acclaimed Lydie Breeze Trilogy, an epic trilogy about an American family, set between the Civil War and the birth of 20th-century industrialism. In development for 30 years, the trilogy has not reached completion as the single theatrical experience Guare intended it to be. EgoPo will collaborate with Guare to present all three plays. For more information on this project, visit EgoPo's website at https://www.egopo.org/. Emily Curro is Executive Director of Troy Foundry Theatre. 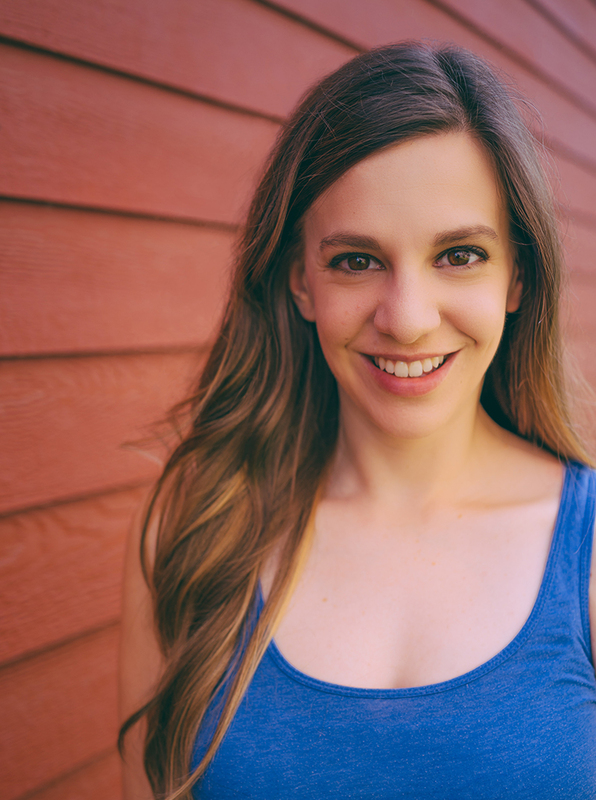 She is a graduate of Russell Sage College (B.S., Musical Theatre and English) and holds an MFA in Theatre Management from Florida State University. Emily spent several years with the Tony Award-winning Williamstown Theatre Festival as Associate Director of Marketing and Development before moving on to Manager of Marketing and Development with the Academy of Music Theatre in Northampton, MA. She believes the arts are an integral part of how we form communities; how we perceive and communicate with the world around us and with each other. Emily would like to thank her family, Ethan and Clarence for being her rocks in life. Alex is currently employed as a Senior Fund Accountant at LeverPoint Management, LLC (a third-party fund administrator located in Clifton Park, NY). Prior to LeverPoint, Alex was employed at Golub Capital (a credit asset manager located in New York, NY) where she quickly moved up the ranks from Bookkeeping Temp - to Junior Accountant - to Accountant - within the span of three and a half years. Alex received her BS in Musical Theatre from Russell Sage College and Certificate in Accounting Principles from Baruch College. Born in Albany, NY, John has appeared on most area stages including, The Egg, Saratoga Shakespeare Company, Cap Rep, Albany Civic Theatre, The QE2, 8th Step Coffee House and Schacht Fine Arts Center, where he performed for 25 years with the resident company of the NYS Theatre Institute (NYSTI). His work in over 200 stage productions includes:the lovable Moo in London’s West End production of The Snow Queen; the lead role of George M. Pullman in the East Coast Premier and Off-Broadway production of Jeffrey Sweet’s American Enterprise, both directed by Emmy award winning Patricia Birch; Willy Loman in NYSTI’s critically acclaimed production of Death of a Salesman; Lenny in Of Mice and Men; Scrooge in A Christmas Carol; the hapless Smee in Peter Pan in Moscow; Il Compari in A Tale of Cinderella (stage, original cast recording and Warner Home video); the title character in The Canterville Ghost (Warner Audio Book) and scores of other roles big and small. John has also performed in tours of the Mid East, Sweden, Italy and the USSR. John Romeo ‘s film work includes “Fighting For Freedom” with Bruce Dern and Kristanna Loken, “The Place Beyond The Pines” directed by Derek Cianfrance, Cult horrow films “Ice Queen”, “Axcellerator”,“Love Conquers Paul” with Peter Reigert , : Stagehand” and other independent features and shorts. John is also a voice over actor on nearly 1000 TV and radio commercials and narrations all around the world. He recently co-directed the documentary, “The Neighborhood That Disappeared” and directed the short film, “Ready Or Not…”. John has aslo directed the acclaimed production of The Miracle Worker, Inalienable Rights:Denied for NYSTI; Molly Sweeney for Theatre Voices; How I Learned to Drivr for Russell Sage College and the world premiere of the musical iFind You @ Last. John has been recognized three times by Metroland’s editors as “Best of...” and in 1999 , the Times Union recognizes him as“Best Local. He was also a biographee in Who’s Who in Entertainment. John has been an adjunct faculty member of Russell Sage College, where he taught acting and directing with his NYSTI colleagues. Ethan is honored to be a part of Troy Foundry Theatre's debut production. He most recently appeared in The Public Theater's production of Julius Caesar(Ensemble). Other credits include Romeo and Juliet (Saratoga Shakespeare Company), Comedy of Tenors, and Lion In Winter (Old Castle Theatre Company). Ethan also made his theatrical film debut this past spring in 'Super Dark Times'. It premiered at the TriBeCa Film festival and is set for a theatrical release September 29th. Ethan is a Proud Member of Actors Equity Association. Charlie Barnett (Resident Costume Designer) is a local actor and designer in the capital district. Charlie has worked professionally with such companies as The Williamstown Theatre Festival (Wardrobe Supervisor), Troy Foundry Theatre (Costume Designer), and The Center for Performing Arts at Rhinebeck (Costume Designer). Most recently, Charlie not only designed but performed in David Sedaris's The Santaland Diaries with The Theatre Institute at Sage. Upcoming projects include costume designing both Catastrophe Carnivale: An Evening of Beckett Shorts with Troy Foundry Theatre and Billy Bishop Goes to War with The Theatre Institute at Sage.